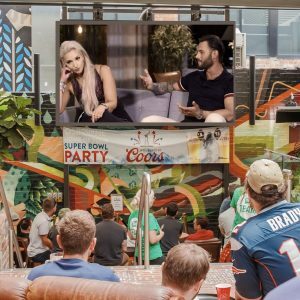 Watch all the Married at First Sight Finale drama unfold on the big screen, over two drama-fuelled nights complete with popcorn and plenty of gasps. Television’s night of nights is here. That’s right, the season finale of cult-followed show, Married at First Sight will finally hit Australian TV screens in a dazzling two-part special this coming Sunday the 7th and Monday the 8th of April. From 7:00pm, get off your couch, grab your girls and watch all your favourites, Cyclone Cyrell, Lizzy and Brissy local Ines in ultra HD magic on the Osbourne Hotel’s BIG SCREEN! Don’t worry the Osbourne Hotel team will have plenty of snacks to go around with FREE POPCORN to munch on all night as the drama unfolds. Enjoy $10 pizzas on Sunday and $15 steak and chips on Monday to fuel your MAFS finale party. 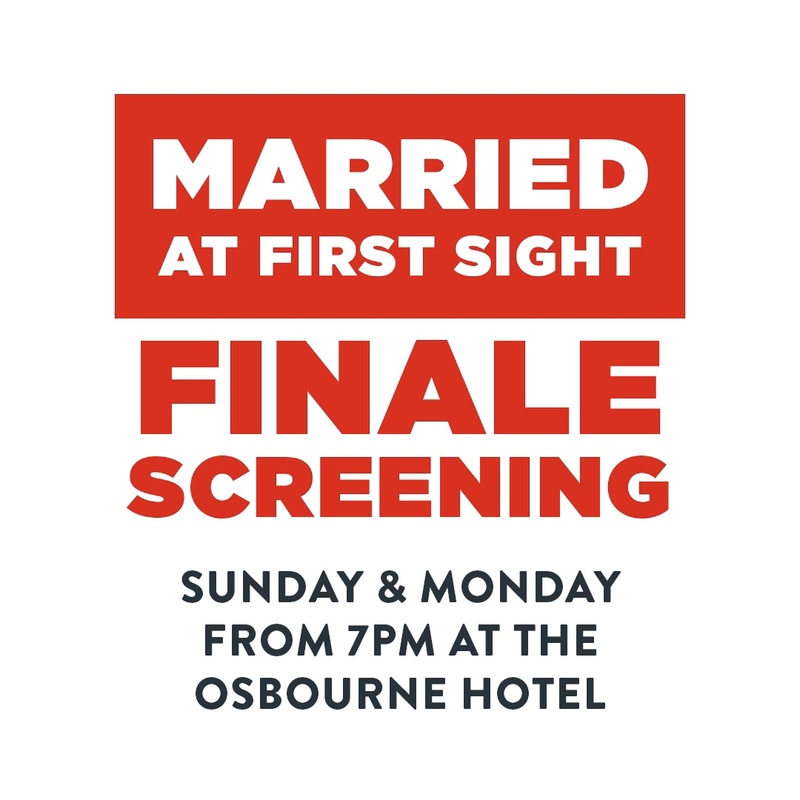 Married at First Sight just got all the more epic with double the drama over two nights at the Osbourne Hotel. Book your table close to the drama below!